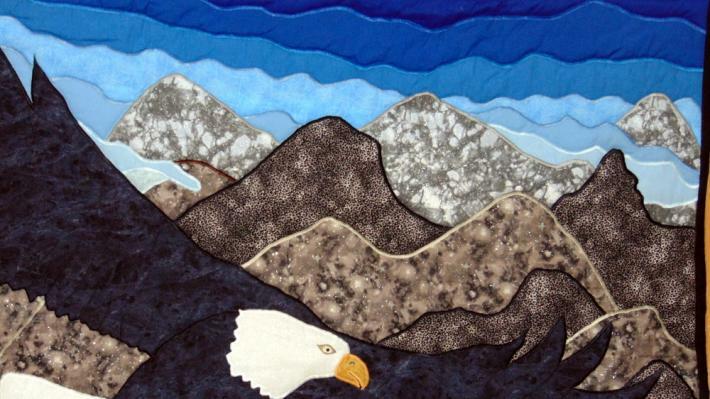 I finished this quilt about a month ago but couldn't seem to get photos I like of it at that time. At an exhibit last year, a customer asked if I could do an eagle. 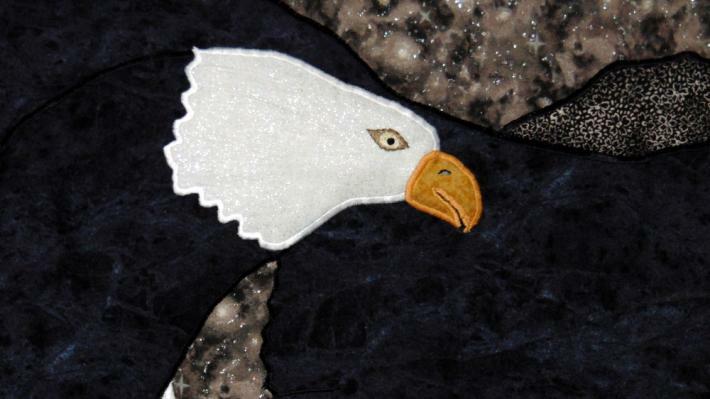 I must have looked at eagle photographs for weeks before choosing a photo with non-symmetrical wings to give this a try. 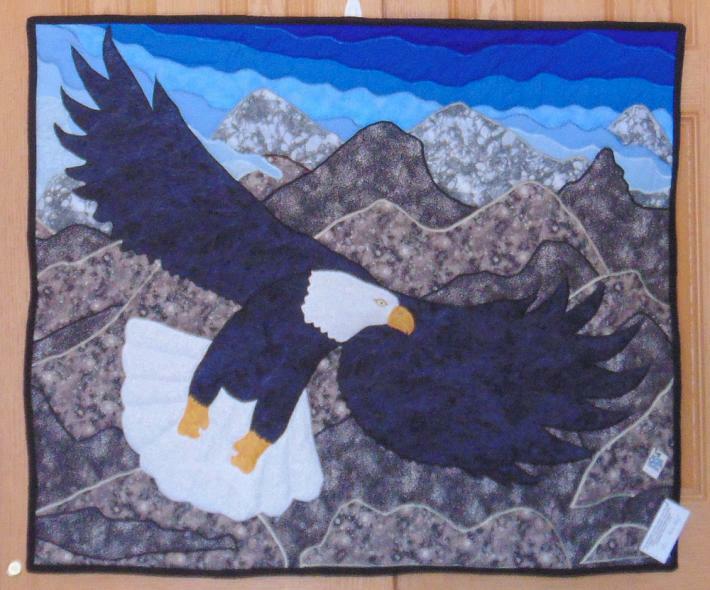 I've entitled this quilt, Can You Do An Eagle? 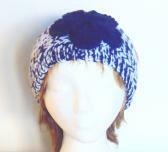 It is compiled of cotton and cotton blend fabrics. 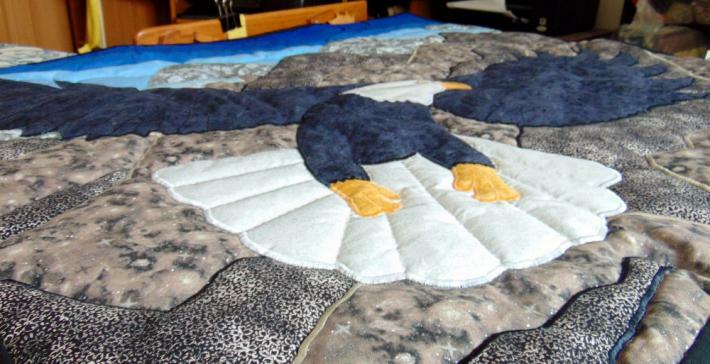 I used traditional loft polyester batting in this quilt. It measures 40 inches wide by 34 inches tall; a great size for behind a sofa! It's machine wash/dry on cool/delicate settings. 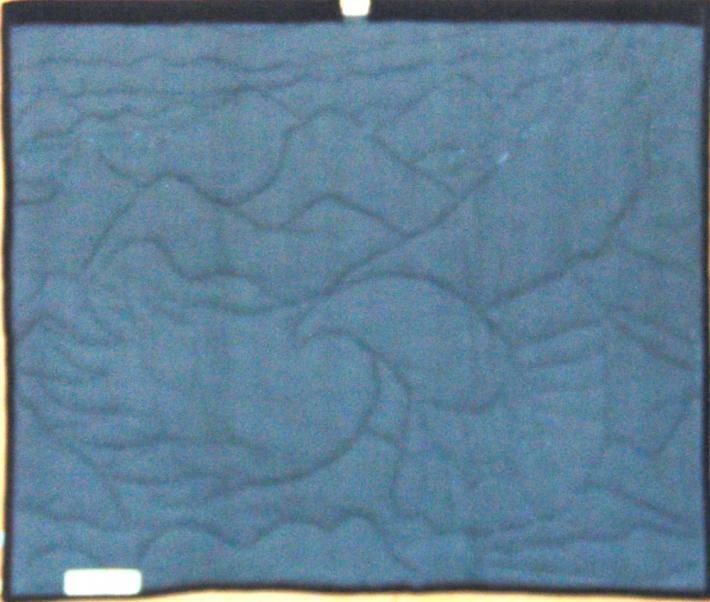 Since this quilt was designed, assembled, appliqued, quilted and bound entirely by me, it is signed, dated, labeled and tagged.